The dominant approach of policy-makers to the labour market, to working life and to unemployment is no longer fit for purpose. We continue to use the policies and withering infrastructures of post-war industrialism, whilst the composition of the workforce, the nature of jobs themselves and the productive powers available to us have drastically changed. We need to move toward a new settlement in order to secure out-of-work security and in-work prosperity. If ‘hard work’ at your job ever guaranteed an improvement in your situation, this is far from assured today. The share of national income going to wages and salaries is in decline while the share going to capital is expanding, meaning that simply owning assets such as shares or housing is a more expedient route to economic success. Recent research has shown that over time and across the globe, a higher capital share (and lower labour share) is linked with higher inequality in terms of the distribution of personal incomes. As it stands in the UK, ten percent of the population own fifty percent of private wealth. Unsurprisingly, some are calling this new economy ‘rentier capitalism’, wherein value is extracted rather than created and where ‘work does not pay’. The deployment of automation technologies over the next few decades, if left unchecked, will most likely exacerbate this inequality. Workers are not getting their due in other, more subtle ways too. They put in large amounts of unpaid overtime ; are commuting for longer than they were ten years ago ; are earning less in real terms than they have for over a decade ; and are suffering remarkable levels of in-work poverty. The amount of precarious jobs – those which cannot guarantee a secure livelihood – has risen sharply this century, with over one million zero-hour contracts deployed in 2017. We have also seen a drastic increase in the amount of people now drifting in and out of work in the UK. Since 2006 we have seen 60% more people move between a job and unemployment, propagating a ‘low-pay, no-pay cycle’. Consecutive, regressive labour legislation such as the Employment Act (1980) and the Trade Union Act (1984), as well as the present failure to clamp down on bogus self-employment, have contributed to the neutering of worker power and have allowed the above scenarios to emerge. It has been estimated that the UK is the country with the second lowest level of collective bargaining coverage in Europe. Today, some have estimated that the coverage is now less than 20%, in comparison to coverage of above 70% in the 1960s and 1970s . This decline has been facilitated in large part by hostile policy: even Tony Blair once remarked that British law on trade unions is the “most restrictive in the Western World”. Outside of the wage relationship, women carry out 60% more unpaid work than men, including things like cooking, childcare and housework. This activity of social reproduction – essential to our society and economy – still remains generally naturalised and undervalued as ‘women’s work’. Such a stigma can compromise women’s equal participation and pay in the labour market. Our welfare system is also out of date. Universal Credit is currently failing on a number of counts, even according to the government’s own analysis. The National Audit Office recently found that one in five claimants do not receive their payments on time and that Universal Credit is creating additional costs for local organisations that are feeling the strain it imposes on recipients. Another thorough report has concluded that the employment outcomes of the system of welfare conditionality are negligible: while some participants found jobs, others simply drifted back into unemployment. Punitive disciplinary techniques and reactionary legislation such as the Welfare Reform Act (2012) have not succeeded in their aims, and have left a trail of psychological and social devastation in their wake. A vision for the future of work must have the values of freedom, equality and sustainability at its heart. Real freedom in this sense means the capacity to have a dignified life outside of wage dependency, outside of the worst effects of the workplace and outside gender-defined work roles as much as possible. Broadly conceived then, the move towards a healthier and more sustainable work culture is the move towards a politics of free time. This requires understanding time as a resource and control over it as inherently political. The time people spend in the workplace has varied greatly throughout history, and still today varies widely between countries. This means that what we consider to be a ‘natural’ amount of time to spend at work today is in fact a relatively recent invention. The nine-to-five, five-days-a-week model for full-time work has been dominant for no more than 60 years, and even this normalised model is now being disrupted. Working time is a political choice. Equally, we should note that work is not reducible to gainful employment. The deeply unequal, gendered division of labour that exists within UK society requires a recognition that housework and care also count as work and that therefore the politics of time applies here too. Whilst reducing the waged working week is a way of increasing the possibility of a more equal sharing of family, household and caring responsibilities between genders, it is not by itself sufficient. Extended paternity leave, expanded childcare services and ultimately a cultural shift are also needed to achieve equality in this domain. The aim of expanded free time can and should be achieved in part via the use of technology. Up until now the deployment of technology has largely been a function of businesses in the pursuit of profit (despite the technologies themselves often being the result of public investment or subsidy). But automation technologies have always held the (fettered) potential for what Raymond Williams called ‘the humane choice’, that is: saving people from the burdens of labour. Designing policy on automation in the interests of workers should be seen as an opportunity to create an economy that serves the population and not the other way around. The new economy of work and social security should above all be guided by the values of dignity and respect. This will not only mean treating workers appropriately and with full rights at work, but also designing the whole infrastructure of unemployment and support around the same values. In an economy with an uncertain future, and with much part-time and precarious employment, social security needs to be more generous and more universal. Instead of propagating an environment of purgatory for its recipients, the social welfare system should allow for a dignified life outside of work as well as the support – for those who desire it – to enter the world of employment. New working practices and a new economy of free time require changes in policy, in law, in public infrastructure and in basic practices. With many people in part-time or precarious work, as well as many drifting in and out of unemployment, a new welfare settlement and reform to labour law are needed to suit these conditions. Waged work is so central that it affects and is affected by all factors of our economy and society one way or another. Policies in this area must therefore always function in conjunction with other areas of legislation and infrastructure – making it almost impossible to distil a definitive list. Below is an initial set of policies that can determine the general direction of travel. Research has shown that non-work time is essential to our basic wellbeing and that regular time off is crucial for sustained recovery periods from the physical and mental stresses of working life. Reducing burnout and high fatigue levels also benefits a worker’s productivity (primarily by decreasing absenteeism) and would reduce the high amounts that poor mental health costs the public purse in terms of reduced income tax revenue and the increased spending on the NHS. Estimates suggest that work-related stress, anxiety and depression account for 37 percent of all work-related ill health cases and 45 percent of all working days lost due to poor health. A number of studies have also strongly suggested that longer working hours correlate with a greater carbon footprint, not only due to enterprises using energy for longer periods but also due to the carbon-intensive activities that working life promotes (e.g. buying ready meals, driving to work each day, etc.). There are various policy means by which a shorter working week can be achieved. Some policies can simply facilitate more choice for workers as to the preferable balance between working time and income; others would legislate a national reduction to be achieved over time. In general, however, the more universal the reach of a policy, the more progressive and socially valuable it is. In this sense, policies around work and employment must achieve tangible results for the majority of the population and not just the affluent few. Given the incredibly unequal context of the UK economy, such a universal approach will necessarily appear radical. In fact, it is arguably the only practical response available. Voluntary reductions of working time (and income) are to be made possible for all. It should be mandatory that all contracts come with the possibility of a reduction of hours if the worker so chooses, with a period of notice before it takes effect and a specific period afterwards wherein the worker can opt to go back up to full hours if they wish (as is the case with IG Metal’s recent settlement ). As a first step, this policy could be rolled out for companies over a certain size. Allowing workers who can afford the pay cut to reduce their hours will open up more work for others who need it, entailing an effective redistribution from the overworked to those with not enough of it. Finally, wage raises and bonuses should be able to be claimed in terms of time as well as cash. Using your raise to reduce your working week effectively increases your previous hourly rate and expands your free time. Full labour rights should be extended to members of the precariat, but we should go further and rearticulate what falls under the general definition of remunerated work as well. The average worker now spends a total of twenty-seven working days a year commuting to and from work. The number of workers facing very long commutes of over two hours has gone up by 34% over the last ten years, with over three million workers facing journeys of this length. This travel time is a grey area between free time and work time: as such, employers should meet workers halfway in paying this cost. There is precedent for this: in Brazil, according to the ‘Consolidação das Leis do Trabalho’, or CLT, legislation, employers must cover the costs for employees’ transport to and from work if these costs exceed six percent of their gross salary. Closer to home, the EU already has a ruling that travel time ‘constitutes work’ for workers ‘without fixed or habitual places of work’. This principle should be extended to all workplaces: commuting is to be understood as both a burden born by workers and as a business expense for firms in order to bring their paid-for workers to the workplace. Initially this policy could be rolled out only for long commutes: travel time can be claimed back by workers at their hourly rate if they commute for two hours of the day or more. Different firms will have different methods, but a receipts-based system would be simple and the travel claims would be separate from the workers’ taxable pay. Having this extra cash would mean that workers could, if their contracts were flexible enough (see above), reduce their hours in the office without reducing their overall income. Similarly, all overtime should always be paid at a substantially higher rate and tougher penalties should be in force for companies that neglect to do this. UK workers gave their employers £33.6 billion of free labour in 2016 by doing unpaid overtime. Clamping down on this practice – so that it becomes a rare exception rather than the norm – will force firms to hire new workers to carry out this excess labour within normal office hours and will make sure that an appropriate balance between labour time and free time is maintained for workers. There is no question that unions have to be involved in the process of change if we are to have an ecologically and ethically sustainable economy. A comparative history of working time between Europe and the United States is revealing in this respect. In the early 1970s, the hours worked in Europe and the US were almost identical, but in 2005 Europeans worked on average 50 per cent less compared to their American counterparts. Researchers found that the reasons for this discrepancy was likely due to the comparative restrictiveness of labour regulations and union policies. Specifically, their findings show how, unlike in the U.S., union directives in Europe have regularly centred on demands that fought for reduced working hours for their members. This goal should be reignited across the board in the UK. Unlike many parts of Europe such as Germany, Sweden and Denmark, the UK currently has an enterprise-based collective bargaining structure rather and a sectoral system. There is research to suggest that the broader, sectoral model achieves greater equality overall due to its greater reach of coverage. In 2014, a report by the OECD stated: ‘There is consistent evidence...that overall earnings dispersion is lower where union membership is higher and collective bargaining more encompassing and/or more centralised/co-ordinated’. We should adopt sectoral collective bargaining structures to maximise coverage and give workers a more potent voice in economic decision making. The Scottish government has placed dignity at the heart of its initial drive to reform social security, and the UK government should do the same. Means-testing and conditionality should be largely replaced by a guaranteed possibility of a basic standard of living outside of waged work (without fear of coercion or shame). In an age of job market uncertainty, of increased self-employment and of labour precarity, a new social security net is called for. This would include a basic income and updated basic services. An unconditional, regular cash payment to individuals (a basic income, or UBI) can be a progressive policy both as a solution to current welfare problems and as a cornerstone of a more enabling social settlement. Being unconditional, the policy would do away with the punitive conditionality that exists currently and will avoid the poverty trap that catches people out when they take on low-income work today. Being universal, it helps eliminate the stigma associated with those receiving state support, as well as the division between the ‘deserving’ and ‘undeserving’ poor. Being individual, it benefits those in abusive, controlling relationships (by providing them with an independent income irrespective of situation or status). Finally, being guaranteed, it gives added security to all and gives workers the confidence to demand better working conditions and pay. A basic income means that people’s access to survival and relative autonomy is not dependent on their ability or willingness to work, effectively blunting the worst effects of the labour market. How high would the level of basic income need to be in order to achieve aims of equality and the reduction of poverty? While it is true that higher levels of basic income would yield greater individual and social benefits, schemes that involve pay-outs of ‘full’ basic incomes (e.g. £1000 per month) are beyond what is feasible in the initial phases of a new economy. A new study has shown that a UBI on ‘starter rates’ of £60 per week for 18 – 64 year olds, £175 for over 65s and £40 per week per child, would significantly reduce poverty and inequality. The authors calculate that the cost of this ‘modest’ UBI, factoring in savings from the withdrawal of some existing tax allowances but keeping means-testing otherwise, would be around a manageable £28bn (roughly what has been cut from the welfare budget since 2010). The authors understand this introductory basic income a as good start – and on one of their models it could be introduced immediately; the weekly income amount could then be increased over time as a ‘rising floor’. Reaching higher and higher levels of basic income could then act as one useful measuring stick for progress used in government communications. Ultimately, it must be kept in mind that while a basic income will replace some benefits (e.g. JSA), it is best understood as a supplement to the welfare state and not a substitute; for example, those with disabilities in particular would still require specific considerations and conditions (far beyond the coercive measures of Personal Independence Payments). The costs of basic income must be put into the context of how much poverty itself costs the public purse already. The Joseph Roundtree Foundation estimates that the direct and indirect costs of poverty amount to £78bn per year. That means that about £1 in every £5 of public money is spent repairing the damage poverty inflicts on people’s lives. A basic income would, if successful, go a long way in reducing these costs, directly and indirectly. The ‘Mincome’ experiment in Canada (1975-78), where every member of the town of Dauphin was guaranteed a minimum income, is informative here. Researchers gauged the impact this economic policy had on the population’s health by looking at the amount of visits to a hospital over the test period. They found that hospital visits declined by a massive 8.5%, while the minimum income was in place, showing that significant savings to healthcare systems are possible once people’s livelihoods are assured above the poverty line. A basic income can be complemented by a range of free services (often referred to as Universal Basic Services, or UBS) , including legal aid, housing, internet, food, education, healthcare and local transport, delivering a ‘social wage’ by freeing up portions of people’s income for other uses . Such services can be seen as the logical next step in the welfare state’s development of decommodification. Extra funds for the new social security system can be raised not only by creating a more progressive tax system , but also by creating a ‘Social Wealth Fund’ as a long-term investment in the UK’s future. The idea is to utilise a combination of rents on natural resources, new forms of taxation as well as tweaks to existing tax schemes in order to provide regular revenue streams into the pot. This accrued capital is strictly ringfenced from the Treasury and is used to further invest in profitable assets in order to grow the fund annually. Once at a certain size (and growing) the fund could be used to help fund specific public services, an¬ ever-growing basic income and/or social housing projects. Similar structures already exist, such as the popular and sizeable sovereign wealth funds in Norway, Alaska and other parts of the world and it would be sensible if we too invested in the future in this manner. 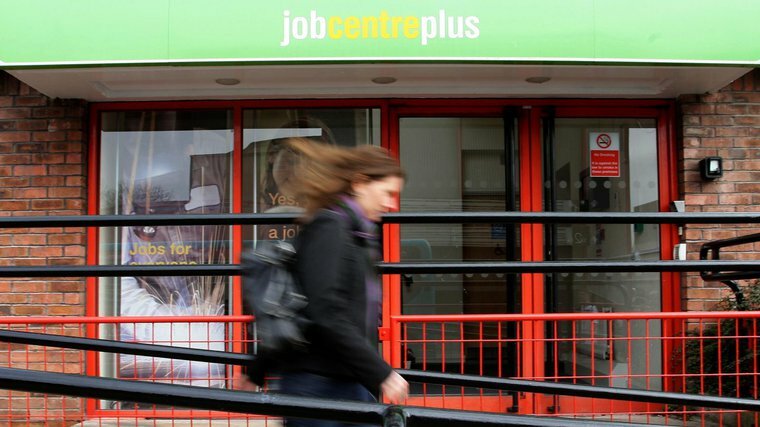 With an unconditional social security net in place, an updated Jobcentre would no longer pressure people into taking whatever job is available with threats of sanctions. The lure of earning more through employment is enough to make people search for jobs, they do not need to be forced to take whatever vacancy is available. This lack of coercion could have the beneficial knock-on effect of forcing employers to make vacancies more appealing in order to attract applicants. Training and skills workshops, as well as the advertising of job opportunities would remain in place at Jobcentres, but the use of these functions would be optional and not imposed upon people. With a decent, and growing, basic income for all and decent, decommodified basic services, the dependency upon coerced job-seeking for a livelihood would become unnecessary, allowing Jobcentre staff to put their energies to more productive and positive uses such as providing skills workshops or forging links with good employers in the area. Needless to say, these changes to the Jobcentre would require the rolling back of much of the Welfare Reform Act (2012). A high-tech economy with a shorter full-time working week for all is a real possibility in the coming decades – but it will require a combination of considered governmental and organisational initiative, coupled with the correct values, to achieve it. This will require a broader adoption of labour-saving technologies, beyond minority, so-called ‘frontier firms’. A basic premise of the new economy should be that the more equal distribution of the benefits of increased productivity includes time as well as income. Setting up a Ministry of Labour (MoL) with a specific ‘working time’ team would embed the initiative into the architecture of government itself. The Ministry would be in charge of overseeing shorter working week policy (amongst other labour issues). Medium-term, it would manage the project of achieving a UK four-day full-time working week (without a loss of pay) within a given period, e.g. five to seven years. Building on the European Working Time Directive, the Ministry could manage a new ‘UK Working Time Directive’ that would decrease annually. The MoL would regularly draw on relevant expertise concerning the technological, financial and legal instruments that can be leveraged to facilitate this aim. Following in the footsteps of the short-lived ‘Ministry of Technology’ (1964-1970), a public organisation should be established, the board of which will be made up of trade unions, elected public representatives, the Ministry for Labour and business leaders (other authors have proposed establishing a similar body called ‘Productivity UK’ ). The organisation would aim to increase productivity in sectors that have seen low-investment in technology and tie these gains to a tangible reduction in working hours for workers without a loss in pay. This would mean subsidising investment in robotics and labour-saving technologies, an area in which the UK is lagging behind the rest of the world. This would concretely link the prosperity resulting from an enterprise’s growth with the individual prosperity of its employees. There would be branches for each employment sector and each would have specific expertise regarding the nature of the jobs in question and the labour-saving technologies coming onto the market. Trade union Sectoral Employment Commissions (SECs) would be set up in conjunction with these branches so that agreements around the distribution of the benefits of automation can be sector-specific and according to local needs as far as possible. To maintain strong collaborations between government, trade unions, non-unionised workers and businesses, quarterly or biannual conferences on the topic of working time reduction and industry-worker partnerships could be established. It would be a chance for trade unions to provide feedback to workers on the ongoing collaborations facilitated by the MoL and with regards to the increasing reduction of necessary labour time (and therefore regarding if and how new technology is or is not translating into shorter working hours). A false dichotomy in policy and activist discussions has been erected between basic services and basic income policy proposals. Despite typical framings, it should be noted that on the one hand many, if not most, basic income advocates also believe that public services need to be updated and expanded, and on the other, that the authors of the original UBS proposal advocate a partial basic income alongside the seven basic services. The two are not opposed in principle, and their vastly different costs also means it’s not an either/or choice financially. There are key questions being asked of each however. UBS is an uncontroversial, progressive policy but it requires more thought around implementation. As others have pointed out, the original basic services proposal concedes that housing and food are actually conditional upon whoever needs them. Not only does this drastically limit the universality (and potential popularity) of the proposal, it also would do little to reduce the social stigmatisation that currently comes with some of these conditional services. For example, beyond merely adding to existing programmes such as free school meals and meals on wheels, there has not been much thought as to the practical deployment of ‘universal’ food. We could imagine a coordinated system of food banks, for example, but this would not solve the problem of stigmatisation. We should also ask the simple question: is a ‘social wage’ – delivered as services – as effective as an actual wage for drastically reducing poverty and increasing freedom? Having free services available in your locality is quite a different sort of capacity to having cash in your pocket with which you can make your own decisions. Again, the question is not either UBI or UBS, nor should we advocate marketised services; it is simply an acknowledgement that freedom within any market economy requires (but is not exhausted by) the ability to determine the use of one’s own resources. A common objection to basic income is that it could dismantle what remains of welfare provisions, including the NHS. Indeed, a model that would simply replace all or most of our public services would be in line with a dogmatic, market-orientated ideology that sees the citizen as consumer and all services as commodities. The question ‘what kind of basic income?’ must therefore be posed at every stage of implementation: if the policy no longer benefits the most vulnerable in society, if it is used as a justification for further cuts to public services, if it does not reduce poverty, and if it does not bolster those in work, then it needs to be rethought. To avoid such undesirable outcomes, a basic income would need to be carefully coupled with things such as rent controls and other measures that anticipate possible hikes in consumption costs. Regarding automation, questions will be posed (and will need to be answered) around the environmental impact of large-scale investment and deployment of labour-saving technologies. In short: if the infrastructure, algorithms, hardware and robotics utilised in an automated economy exacerbate our carbon footprint, then the project is a non-starter. This situation is likely avoidable, but parameters and targets need to be in place before these initiatives begin. Some of the above policies (and others) could be actioned relatively quickly and with very few obstacles (notwithstanding the expected, knee-jerk protests from some businesses). For example: adopting sectoral collective bargaining structures, raising the minimum wage in line with an actual Living Wage and creating a social wealth fund would all be possible early on in a new economic regime. Other initiatives could act as part of a longer process of transition, with specific pathways built in, in order to reap long-term change that sets the agenda for future governments. A shorter working week should be designed and trialled. For example, using the public sector as an innovator in adopting a shorter working week without a reduction of pay would set a benchmark for future legislation. Following past policy examples where the public sector has acted as the primary adopter of better working conditions, such as equal pay and job security, such a benchmark can be used to benefit workers in the private sector later down the line. A controlled shorter working week trial (where these improvements can be perceived and analysed most accurately) should be designed to improve wellbeing and reduce sick days in workplaces where staff health has been under particular strain such as the NHS. Such a trial can act as positive examples for the other areas of the economy to follow. On Day One of government, it should be announced that social security is no longer going to be about stigmatisation and blame, but instead will be based on the recognition that insecurity, vulnerability and interdependence are universal conditions that we will all face at some point. All workfare practices and financial incentives for benefit sanctions are to be withdrawn with immediate effect. Any work carried out for an employer (previously part of workfare schemes) should be paid at the usual rate for the job role and it goes without saying that pay should never dip below the minimum wage. Taking a strong stance towards radical change in social security could be a positive step on the road to regaining the confidence of those who use the welfare system who have been bearing the brunt of austerity for the last decade. Running a basic income trial involving different control groups, having learnt from the various, similar experiments that have already happened worldwide, would also be worthwhile. There are limitations to extrapolating conclusions from these small-scale or partial experiments, so we need to run our own to see how such a policy would play out in the UK economy. The trials should be set at the modest rate outlined above, or higher. While the shaming of so-called ‘scrounger’ culture has shifted public attitudes towards benefits over the past few decades , a recent poll found that 40% of the public would welcome basic income experiments in their local area, with only 17% opposed. Businesses (particularly those with the most exploitative work practices) would most likely be wary of the above approach to working culture, as many of the above policies bolster social and worker power outside of the wage relationship, i.e. outside of employers’ control. But there are good reasons why businesses should support radical reform here. Firstly, a four day week (at five day’s pay) has been tested in a number of enterprises recently with widely reported success in terms of staff wellbeing and performance. Such a policy could help retain staff and attract applicants, particularly in stressful employment sectors. As noted above, fatigue levels and mental health are essential so as to avoid burn out and regular sick absences – a concern vital to businesses who wish to have a high-functioning enterprise. Furthermore, when coupled with a government initiative to technologically update firms of all sizes, the shorter working week without a loss in pay or performance will be even more achievable. Let’s also respond to these concerns by acknowledging that improved public services benefit businesses in an indirect way. Simply by providing more efficient transport services, better healthcare and communications services for workers, the public purse would maintain a smoothly running economic environment within which employers would thrive. Second, by providing a guaranteed income, the state automatically increases the population’s buying power (thereby acting as an economic multiplier), increasing the capacity for consumption. Thus, we can expect certain economic knock-on effects for industries such as hospitality, entertainment, and so on. There are also conversations that need to be had amongst trade unions. Giving unions more power and coverage is necessary but not sufficient; a refined ideology and purpose is also needed. From the perspective of the new economy of free time and sustainable working arrangements, unions should not simply aim for the creation of any and all jobs, but should campaign along two suggested trajectories. First, they should continue their campaigns for the creation and maintenance of good work for their members, but now with updated criteria that includes environmental sustainability (on top of the typical demands around, e.g., wages, job and employment security, wellbeing, democracy, etc.). Needless to say, the project of environmental sustainability will continue to come up against union demands for job creation/retention in non-sustainable enterprises (e.g. the fracking industry or airport expansions) – in the same way that the move towards nuclear disarmament jars with the defence of Trident-related jobs. The argument needs to be won that job creation must make ecological sense. Such a direction would necessitate complementary state investment in new sectors, such as green energy, in order to facilitate a shift away from carbon-intensive industries, and/or a bolstered care industry, in light of an ageing population. Secondly, with their renewed strength and coverage unions could and should once again take up the historic aim of the reduction of working time within their industries. The Communications Workers Union have been doing precisely this in recent years , as has the IG Metal union in Germany , with significant achievements. Even more recently, the TUC has published its own report, arguing that productivity benefits from automation should trickle down to workers in the form of shorter weeks and higher pay. With sectoral bargaining in place, sector-wide campaigns on working time will have real strength and could yield tangible benefits for all, helping to underline the power and importance of unions even for non-members. Work is a universal in our society – it affects you if you ‘have’ a job or not. Therefore, it should not be difficult to imbue social movements with an angle on the future of work per se. The key is to ensure that this angle is a unified and progressive one, beyond the usual and insufficient ‘more jobs’ mantra. Conferences and workshops on working time and ‘good work’ should be held at regional and local levels involving political parties, union representatives, community and activist groups. These conferences could be supplemented with extensive polls with nuanced questions that can tease out the nuances of the pleasures and pains of working life. These public encounters will put the prospect of a reduced working week onto the map, and allow for democratic engagement around the future of work – preparing the ground for the policies and trials a new economic regime would deploy when in government. The next welfare system will only avoid the pitfalls of the current one if it listens to those who use it and know it inside and out. Consultations are to be set up with welfare recipients, DWP workers, activist groups and welfare researchers from across the country in order to secure a broad consensus on the first things that need to change when in government, as well as begin to sketch a direction of travel for the achievement of more radical reforms further down the line. The key here will be for participants to think not only about merely rolling back the regressive legislation of the austerity period, but to also think about what a positive social security system would look like. Finally, we must pool knowledge in this area from all fields and countries. We need to collaborate with organisations and political parties that have carried out their own research, proposed their own innovative policies and ran their own campaigns around the future of work. There is no use starting from scratch in our national silo when there are other many other people thinking through the same problems. An international network including economists, social movement leaders, those in leadership positions within parties and unions, relevant researchers and research centres should be informally established to build on each other’s gains and setbacks.